In May 1935, Major William Llewellin led a party of twenty young offenders from Stafford Prison to an isolated location on the Lincolnshire coast near Freiston, to the south-east of Boston. Initially living in tents, the boys began the construction of huts for what became the North Sea Camp Borstal. The site was in an area of sea marsh, where land had been drained following the construction of the Roman Bank. 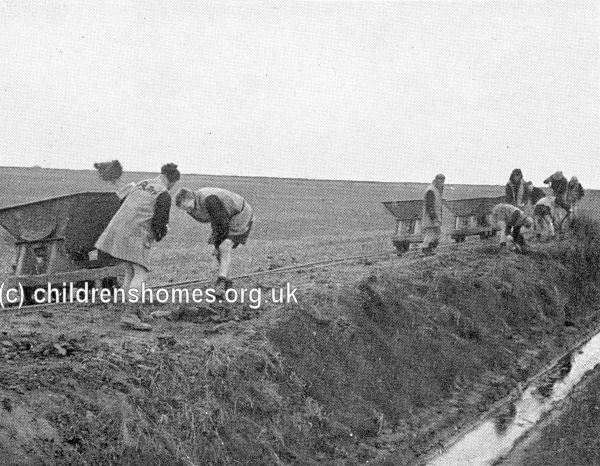 Work by borstal inmates continued this activity, eventually reclaiming almost 1,000 acres for use as productive farmland. In 1964, North Sea Camp became a Detention Centre for senior boys. 1988, the site became an adult, male open prison. The reclaimed land was sold in 2004.